The Sophia's Grace Foundation was established in memory of Sophia Grace Lepley who was born sleeping on June 21, 2015. The purpose of this fund is to support families through the loss of an infant and to support the care of infants. Keepsake ornaments made for care packages provided by Remember our Footprints Foundation (Somerset, Conemaugh, and Bedford Hospitals) for infant and pregnancy loss. 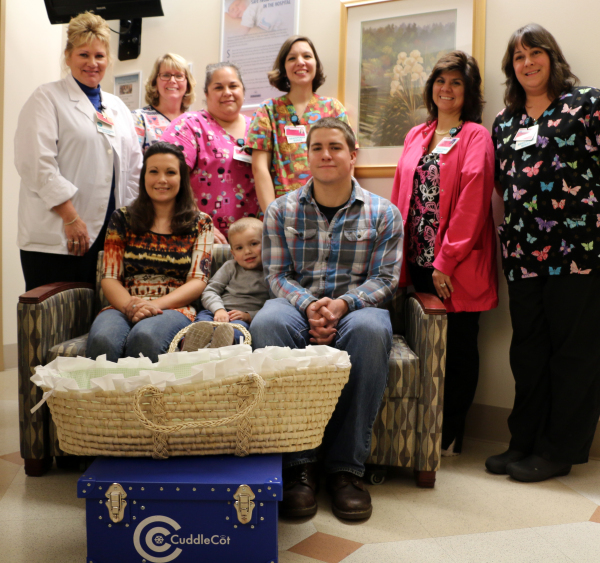 Purchase of newborn blankets and hats provided to Somerset, Bedford and Conemaugh Hospitals for babies born. Purchasing new cribs and other items of need for local hospitals. $220.00 donation to Hyatt's Angels Foundation. Keepsake ornaments sent to Somerset, Conemaugh, and Bedford Hospitals. Paid for the burial services for infant daughter for a local family. Due to privacy, name not listed.